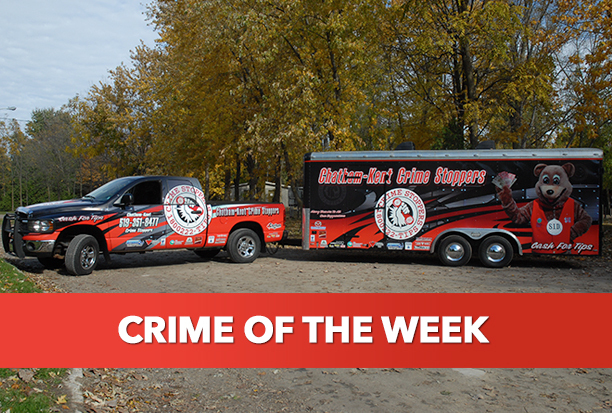 Sometime during the early morning hours of Friday November 4th, 2016 thieves stole four 12V truck batteries from a tractor trailer parked approximately 50m off Erieau Road south of Talbot Trail. The suspects also drained approximately 600 litres of fuel from the truck. Total value of the theft has been estimated at $2600. Crime Stoppers is seeking information from anyone that may have seen something suspicious that night along Erieau Road. If you have any information regarding this or any other crime please call CRIME STOPPERS at 519-351-8477, or 1-800-222-8477, text CRIMES (274637) keyword CKCS, or email your tip.